An epic canvas, a quiet love story, a cops-and-robbers drama and an impressively sophisticated storytelling style: Lootera has all this and much more. It's got the perfectly cast, gorgeous actors. Flaws notwithstanding, Lootera is of a standard that’s inarguably higher than the Bollywood average. Here’s a director to watch out for. Behrman’s masterpiece came in The Last Leaf. Motwane’s is yet to come. Filled with some really good romantic moments, while presenting you with the complexities of the characters, this mixture of romance, innocent light hearted moments, and some gems which make your eyes a little moist and makes Lootera, a good movie. The classic love story mesmerises, but does not overwhelm! Love stories, the film reminds you, can have layers too. Lootera is tragic not dreadful, slow but meaningful. a rare gem, albeit a flawed one, that deserves at least a single viewing. It grips you from the word go and then keeps your focus intact with its intensity. These shortcomings steal away from Lootera its opportunity of becoming the masterpiece it was hoping to be, one that could have been remembered for years after. 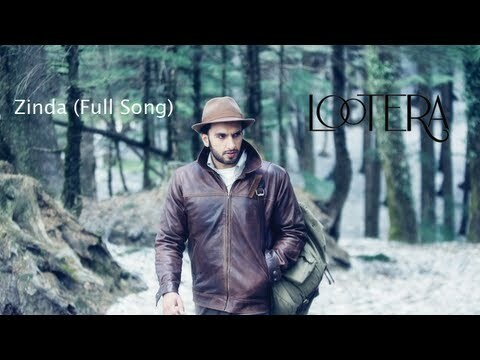 'Lootera' does a rare feat.. It's not only a good cinema but also rewarding and inspiring something of a triumph. 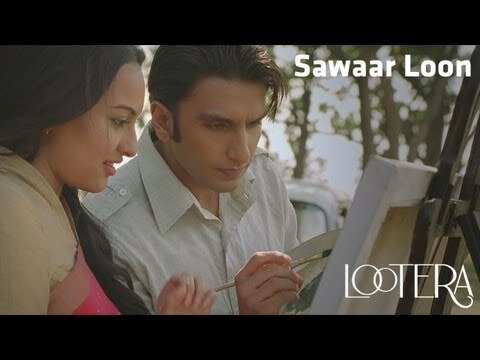 Lootera is a beautifully made, brilliantly shot and wonderfully enacted love story which will be loved by the classes and evolved audience only. It is a painting on celluloid which will win a lot of critical acclaim and awards. An India which was young as a nation and there were many changes which took place ending the Zamindari system. Overall, ‘Lootera’ has a certain conventional charm to it but the slow pace of the film will not lure the young and restless. Watch it for Sonakshi as she will leave you spell bound with her award-winning performance. Lootera has everything going for it right from the breath-taking cinematography laudable acting to lilting music but just not the story. Here is a movie that effortlessly transports you to the 1950s in Manikpur and Dalhousie, and makes you a part of the era – so much so that you can fall in love with the story and the settings, despite the slow pace and the less than satisfactory climax. Amit Trivedi and Amitabh Bhattacharya harmonise a poetic and poignant soundtrack!